Participants in “Overpasses for Obama’s Impeachment” stand on an Interstate 75 overpass in Chattanooga, Tennessee, last fall. MSNBC hasn’t become quite as obsessed with impeachment as CNN was with Malaysia Airlines Flight 370, but it may be getting there. 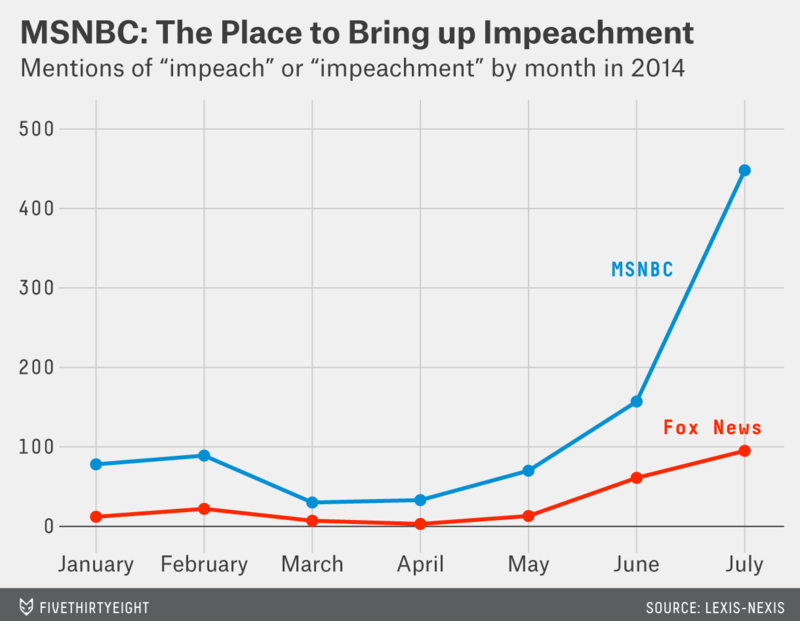 Impeachment mentions on MSNBC increased sixfold from May to July. 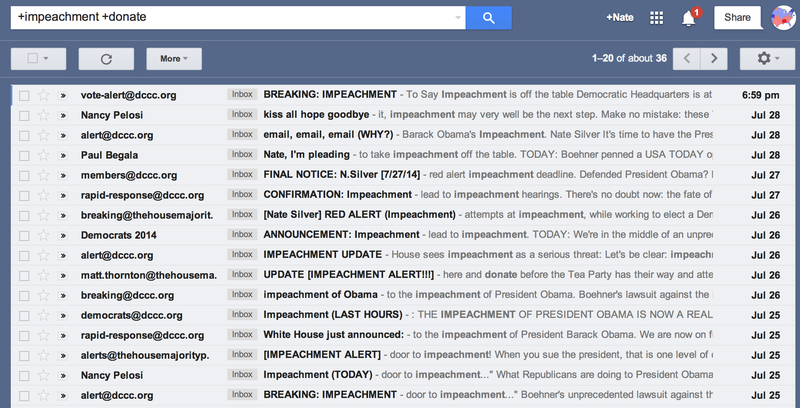 Overall, since Jan. 1, MSNBC has mentioned impeachment 905 times to Fox News’s 213. The Democrats’ strategy has a parallel in 2006. That year, Republicans tried to rally their base around purported Democratic threats to impeach President George W. Bush. Back then, Fox News was more likely to invoke the specter of impeachment, with 374 mentions of the term from Jan. 1 to July 29, 2006, compared with MSNBC’s 206.